Speaking at a private event hosted by Village Global VC, tech luminary and former Google CEO Eric Schmidt predicted that the internet will split into Chinese-led and US-led versions by 2028. 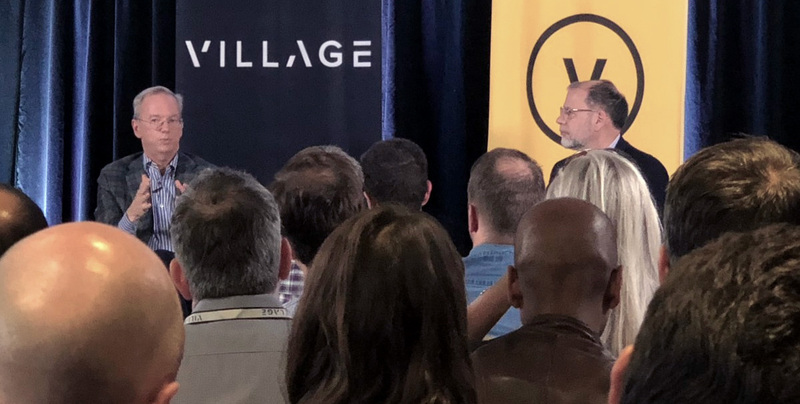 Lora Kolodny from CNBC reports: "Schmidt shared his thoughts at a private event in San Francisco on Wednesday night convened by investment firm Village Global VC." "If you look at China, and I was just there, the scale of the companies that are being built, the services being built, the wealth that is being created is phenomenal. Chinese Internet is a greater percentage of the GDP of China, which is a big number, than the same percentage of the US, which is also a big number." The real danger: While China is coming up with fantastic products and services, along comes a government-aligned leadership regime embedded with censorship and controls, says Schmidt: "it's perfectly possible [many] countries will begin to take on the infrastructure that China has with some loss of freedom." Local Time: Thursday, April 25, 2019 10:56 AM PDT – Page Load: 0.2939 Sec.